Last month I received a package from a company I had never heard about, Lootcrate. Similar to that of Birchbox, Barkbox, and a number of other monthly “grab bag” subscription sites, Lootcrate was tired of waiting for one tailored to their own interests and that of millions of others out there, the geeks and gamers. Beginning just eleven months ago, a small Los Angeles startup consisting of a handful of employees and two guys, founders Matthew Arevalo and Chris Davis, that had only recently met earlier at Hackathon to bring the gamer gift box to fruition. On day one of officially launching the Lootcrate site, 60 people had signed up, but now almost one year later, their subscriber base is over 10,000 and rising. I have reviewed last month’s crate and it is strange for me to say that just the action of unboxing was fun and satisfying, to see what will come out of the box next. Items vary from month to month but was informed the retails value varies between a 30-40 dollar retail value to help make sure you aren’t disappointed about the overall contents of the month’s contents. Using just social marketing to get Lootcrate out among the community, there has been impressive success, but what surprised me was how active the community was and that people were often times trading with fellow craters their swag for others as each package's contents are uniquely packed, as some contents are different. 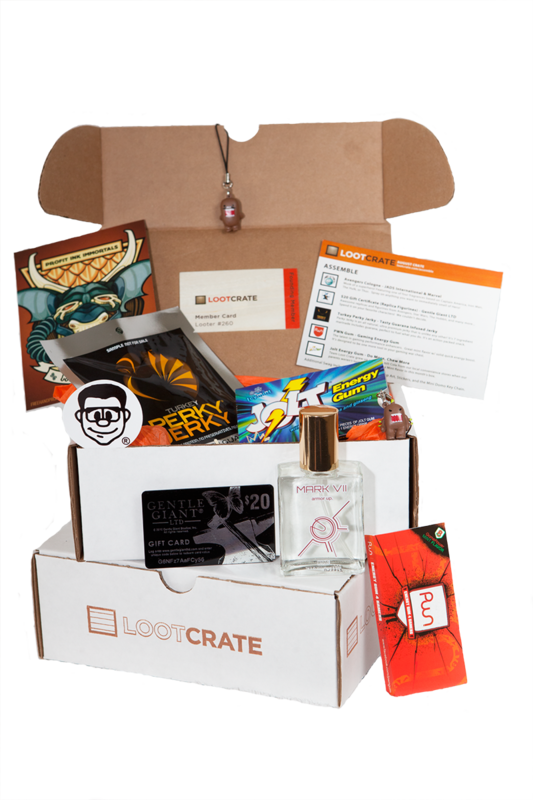 Also, one lucky winner has the chance of the mega crate, which is valued at over 250 dollars, and additional information on Lootcrate, possibly the best gift idea for geeks and gamers, can be found on their site.